Today is International Day of the Girl Child. There is much to celebrate - right around the world, more and more girls have more rights, more opportunities and a brighter future than ever before. But for Rohingya girls, both in the refugee camps in Bangladesh and across the border in Myanmar, the future is anything but bright. Stateless. Unwanted by their own country. Living in a foreign land where they don’t understand the language. Limited by a lack of education. Confined by the boundaries of the camps, and often the boundaries of their own homes. Their future is currently bleak - without formal education, they have little prospect of financial independence. Without preventative health care, they are at risk of early death. Without comprehensive psychosocial support they may never fully heal from the trauma they have suffered. Boys their own age have nothing to do, and often harass them when they visit the toilet block. Girls have no privacy. Yet when you spend time with young Rohingya girls it’s hard to see these difficulties at first. 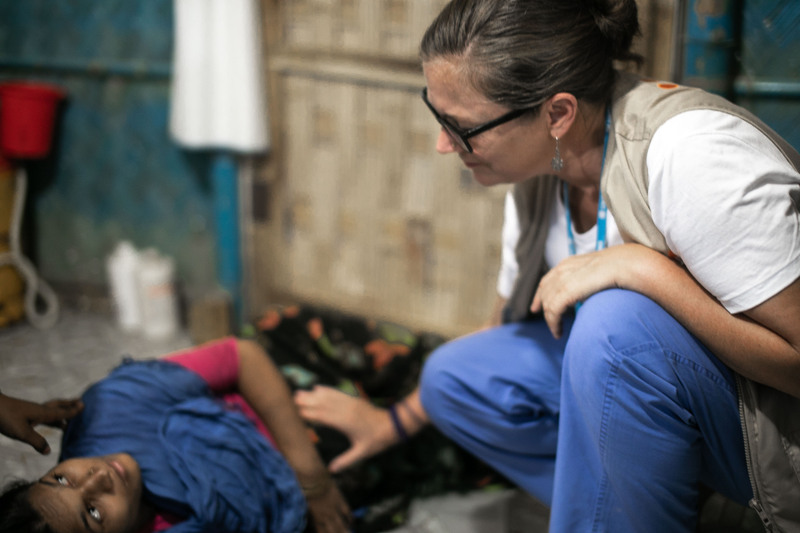 The girls in the camps of Cox’s Bazar are the very definition of a word that is far too easily used - resilient. Girls’ ability to endure despite their plight is one of the most striking aspects of this crisis. Girls get married early. They come to UNFPA clinics to give birth when they are just 14 or 15 years old. And when they give birth, they do so quietly. Girls in the Rohingya camps work hard. Their work is unpaid, unrecognised and unappreciated. Girls as young as four carry water from the water points in volumes that most adults could not handle. Tiny girls brave the crush of bodies to collect rations at the food distribution points, and carry the sacks of rice and pulses along precarious pathways to their homes. Girls are out in the forest collecting firewood every day. But Rohingya girls are, in the end, just like other girls. They find ways to be creative and to express their individuality. They use clothes and fashion, make-up and jewellery. Without access to formal education, they teach themselves skills. Girls in the camps have had basic sewing lessons from UNFPA’s partners, and they have taken what they learnt, taught themselves more advanced skills, and now create amazing garments. Anyone who has learnt a foreign language knows how difficult it is. Rohingya girls are now learning their fourth language, Bangla, picking it up through their interactions with Bangladeshi host communities. Many girls have also picked up basic English. The thirst for knowledge is there, and the motivation is there. As much as the world wants to see Rohingya girls as victims, they will never see themselves in that way. Girls in refugee camps have tremendous potential. They want knowledge, they want to read, and they want to lead independent lives. They don’t want to get married at a young age, and they don’t want to have children until they’re ready. Their parents - many of them with no education themselves - are desperate for girls to have the opportunity to learn. Girls want to be doctors and teachers, and their parents want them to be able to pursue their dreams. UNFPA has recognised this, and with the help of donors, we are constructing ten new Women-led Community Centres, in the camps and in the surrounding communities. These centres – a complement to our Women Friendly Spaces - will be set up so that we can run training for the community, with a focus on girls. 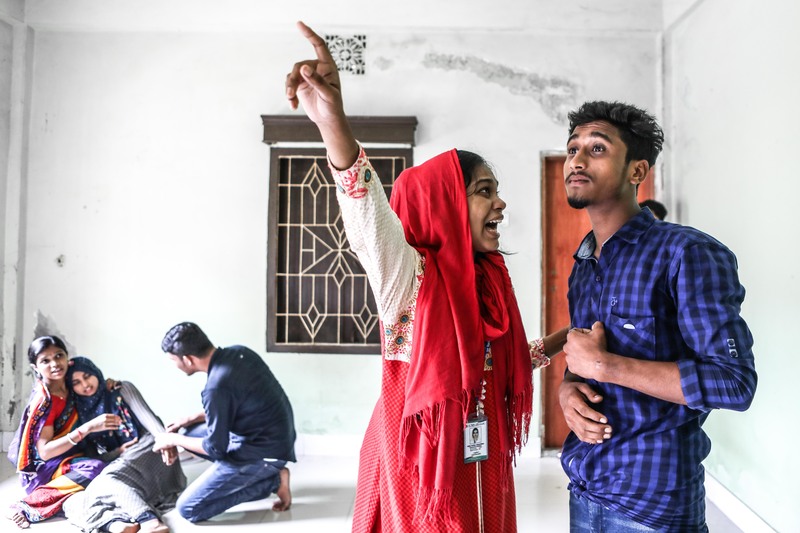 Already, girls and boys in the host community centre are learning drama skills, taught by UNFPA’s local partner. The passion with which they perform, even in rehearsals, shows the huge potential for young people to excel in the arts, if they are given the right opportunities. The training programs that UNFPA runs for girls in the camps are always at full capacity. Girls sometimes face obstacles in being able to get to the classes, but they always overcome them. Around the world, there is a big push to get more girls interested in science, technology, engineering and maths. It should not be any different in Bangladesh, and it should not be any different for Rohingya girls. With exposure to more than just traditional or stereotypical female skills and occupations - through training in electrical and mechanical skills, maths and science - there is no doubt that the girls in the camps would jump at the opportunity to learn, and to reconsider what it means to be a girl. With such a resilient population, it’s easy to forget the incredible impediments they have faced for their entire lives, and will face for the foreseeable future. Nor can we assume that girls are, by nature, tough. Children should not have to endure the pain that girls in the camps suffer. They should not have to endure the humiliation of being harassed. And they should not have to suffer the deprivation and confinement they are currently suffering. 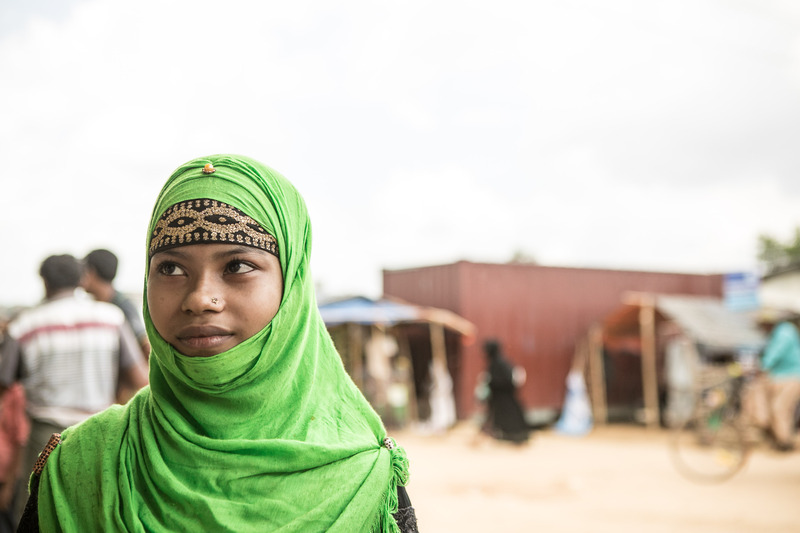 Until a solution can be found that gives Rohingya girls their freedom, we need to step up our efforts to put systems in place that protect girls from harm and exploitation. But just as importantly, we need to find ways to give girls the opportunity to learn, to have a voice and to create their own future.